RIE CEE 2018: Registration for RIE CEE 2018 has been started by National Council of Educational Research and Training on 20/03/2018 and scheduled to be over on 09/05/2018. Candidates, keen to apply for the RIE CEE Notification by submitting the CEE Application Form till the above said date. RIE CEE (Regional Institute of Education Common Entrance Exam) is scheduled to be conducted on 10 Jun 2018 for admission to B.Sc. B.Ed./B.Sc. Ed/B.A. B.Ed./M.Sc. Ed and B.Ed. (Two Year) Programmes by Regional Institutes of Education of NCERT at Ajmer, Bhopal, Bhubaneswar, Mysore and NERIE, Shillong. After the successfully commencement of the examinations, National Council of Educational Research and Training will declare the result on above said date. In order to grab more details regarding RIE CEE 2018-19, you need to scroll down this page which is designed by the team members of www.privatejobshub.in. Candidates who have passed Class XII in concerned discipline XII from a recognized board with minimum 50% aggregate marks (45% marks for SC/ ST/ PH category candidates). Candidates appearing for their Class XII exams in 2018 are also eligible to apply. Candidates need to make the payment of the application fee via using online mode or offline mode. Through online medium (via debit/ credit card) and offline mode via SBI challan (to be printed online at State Bank Collect application can be paid. After getting the registration number, candidates can deposit the fee through online mode or cash (by challan generation) through SBI Collect. Selection of the contenders will be made on the basis of their performance in the NCERT Common Entrance Exam (CEE) 2018. Qualified contenders will participate in Counselling round on scheduled date. Candidates keen to appear in NCERT Common Entrance Exam (CEE) 2018 have to submit RIE CEE Application Form 2018 by following the given guidelines. Afterwards you are required to press the “Information Brochure” link and ensure the required RIE CEE 2018 Criteria in appropriate manner. Eligible candidates have to hit the link of Common Entrance Examination – 2018>>>APPLY NOW. Afterwards already registered candidates have to Check Candidate Login and enter asked details in appropriate manner. 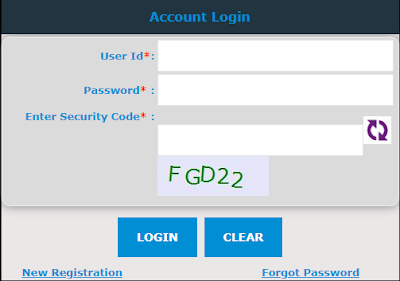 New users are required to Download Registration Form and fill it in suitable way. Thereafter you have to enter the details mentioned in Common Entrance Examination – 2018 Online Application Form. Make the payment of the required application fee and upload required documents. Recheck the complete RIE CEE Online Application Form 2018 and hit the “Submit” for the submission. Take a print out of RIE CEE 2018 Application Form for future use. RIE CEE 2018 exam pattern is such that the question paper will be divided into three sections. Section will be covering a total of 80 questions of 160 marks. Candidates need to complete the exam in two hours duration. for BSc BEd/ BA BEd/ MSc Ed course admissions belong to Group A. BEd course admissions belong to Group B.
MEd course admissions belong to Group C.
Applying contenders for the Common Entrance Exam 2018 are informed that RIE CEE Hall Ticket 2018 will be available from 14 May 2018 to 8 Jun 2018. Keen contenders are advised to be in touch with us as our will update this page accordingly or you can download the RIE CEE 2018 Admit Card directly by pressing the link. CEE-2018 Result Declaration for B.Sc.B.Ed./B.A.B.Ed./M.Sc.Ed programmes is scheduled to be declare on 04 Jul 2018 while for B.Ed./B.Ed.-M.Ed. (integrated)/M.Ed. programmes on 19 Jul 2018. Candidates can download their score card by connecting with us easily. After the declaration of the Regional Institute of Education Common Entrance Examination Result 2018 shortlisted contenders have to participate in Counselling round along with the below mentioned documents. Note: RIE CEE 2018-19 details are available on this Official Link also while contenders are suggested to be in touch with our portal for more details in this concern or others by using CTRL+D or subscribing our free email service also.